Professor Kieran McEvoy, Director of the Lawyers, Conflict and Transition project, recently addressed a US Congress Hearing on Human Rights in Northern Ireland. He spoke about accountability, justice and reconciliation in the context of current efforts to deal with the past in Northern Ireland. 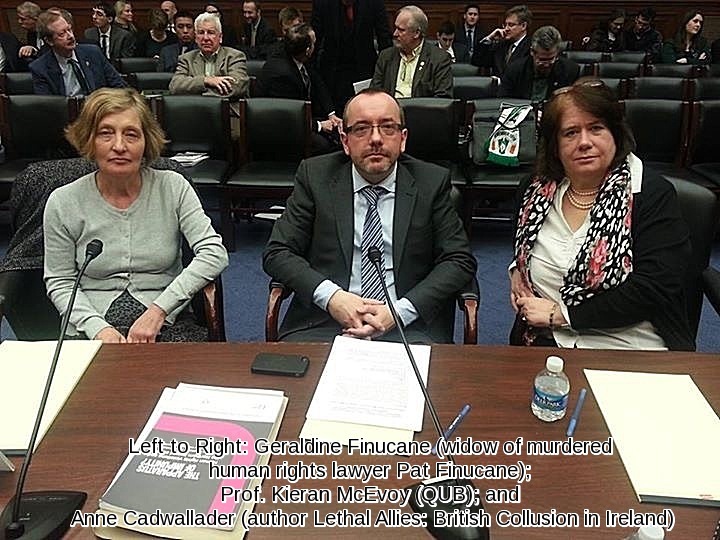 Fellow panellists included Geraldine Finunane (widow of murdered human rights lawyer, Pat Finucane) and journalist Anne Cadwallader (author of ‘Lethal Allies: British Collusion in Ireland). A recording of the live proceedings can be accessed here. (Coverage commences at 56.00).